Sleeping Giants launched boycott campaigns against Breitbart and other right-wing voices. The group’s founder took steps to protect his anonymity. The Daily Caller News Foundation has revealed his identity: Matt Rivitz. The founder of Sleeping Giants, a left-wing activist group that has targeted right-wing voices with boycott campaigns, has managed to keep his identity a secret, even as his own group has become a major political player among liberals. Until now. Sleeping Giants was founded by Matt Rivitz, an award-winning ad copywriter based in San Francisco, a Daily Caller News Foundation investigation has found. Following this article’s publication, Rivitz confirmed that he founded Sleeping Giants. Rivitz, who did not return repeated requests for comment, took steps to protect his identity, including deleting his personal social media accounts, but he dropped hints about himself in interviews with reporters that led TheDCNF to identify him as the group’s founder. Additionally, members of Rivitz’s social and professional circles weren’t as cautious on social media about protecting his identity — particularly in November 2016 when Sleeping Giants was still a little-known pet project — and indicated that he was the man behind the group. 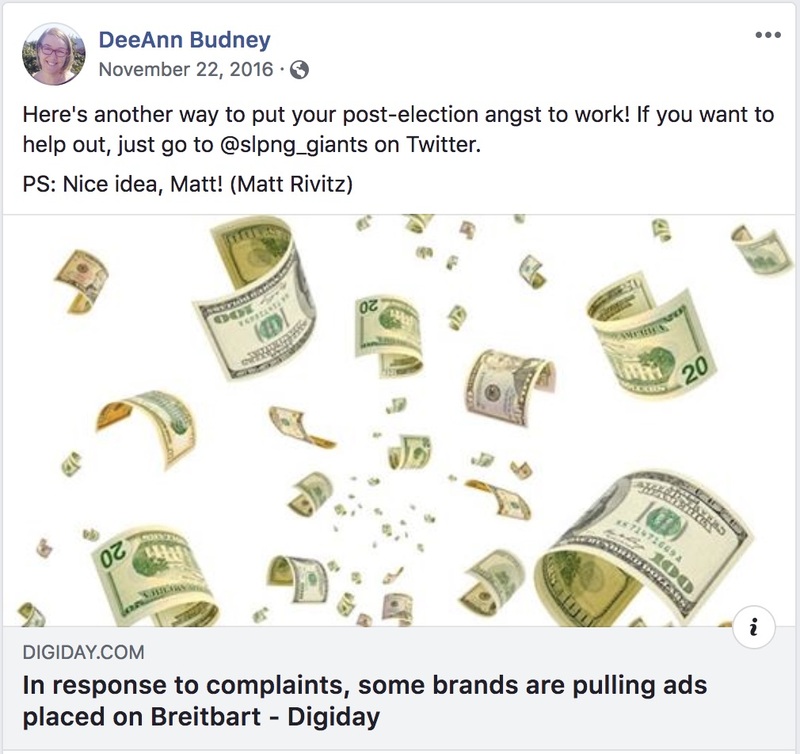 That same month, the Sleeping Giants’ founder gave an interview to a San Francisco-based writer for Mother Jones — who agreed to protect his anonymity — in which he credited a Twitter exchange with IKEA as part of what inspired him to target Breitbart’s advertisers. Rivitz has since deleted his account, but internet archives reviewed by TheDCNF show him engaging with the IKEA brand as described, complaining about waiting two hours to pick up a purchase. Other facts uncovered in TheDCNF’s investigation also pointed to Rivitz. San Francisco marketing executive DeeAnn Budney named Rivitz as Sleeping Giants’ founder in a post six days after Sleeping Giants launched. “Here’s another way to put your post-election angst to work! If you want to help out, just go to @slpng_giants on Twitter,” she wrote on Nov. 22, 2016. She added “PS: Nice idea, Matt! 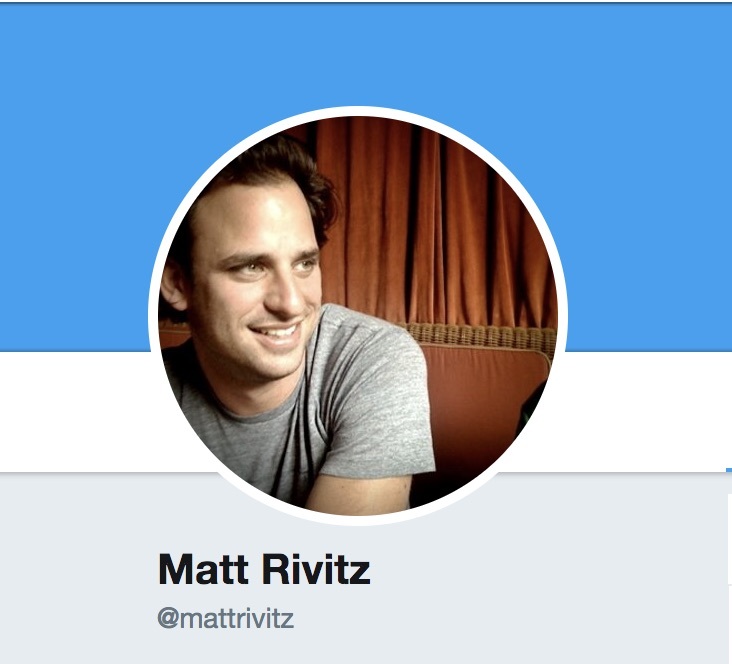 (Matt Rivitz).” The parenthetical appears to have been a way to tag Rivitz’ since-deleted account in the post. Rivitz’ wife, Blythe Lang, “liked” the post applauding her husband for his Sleeping Giants’ work. 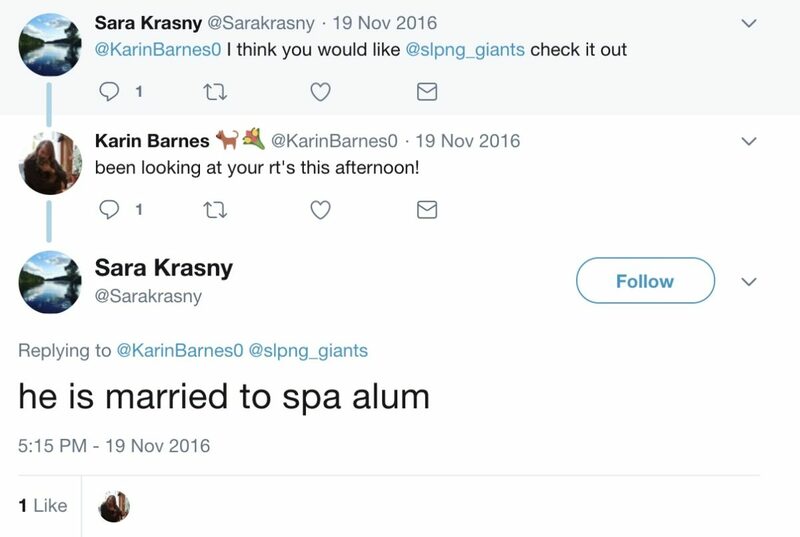 Minnesota woman Sara Krasny, a Facebook friend of Rivitz’ wife, was one of the first Twitter accounts to cheerlead for Sleeping Giants. She described him as married to a “spa alum” three days after the group’s launch. “Spa” is St. Paul Academy and Summit School, an elite private K-12 school in St. Paul, Minnesota. Krasny is an alum of the school and held a leadership role on the school’s alumni fund at the time, archives of the school’s website, spa.edu, show. Before this article, the only known Sleeping Giants member was Britton Taylor, a San Francisco-based ad writer who fundraised for a billboard and has been more open about his work with the group. Rivitz and Taylor were Facebook friends before Rivitz deleted his personal account, internet archives show. Editor’s Note: This article has been updated to include Rivitz’s confirmation. Also, since Rivitz later confirmed the story himself — something the Caller sought directly from him prior to publishing the story — editors have removed some references to his wife.